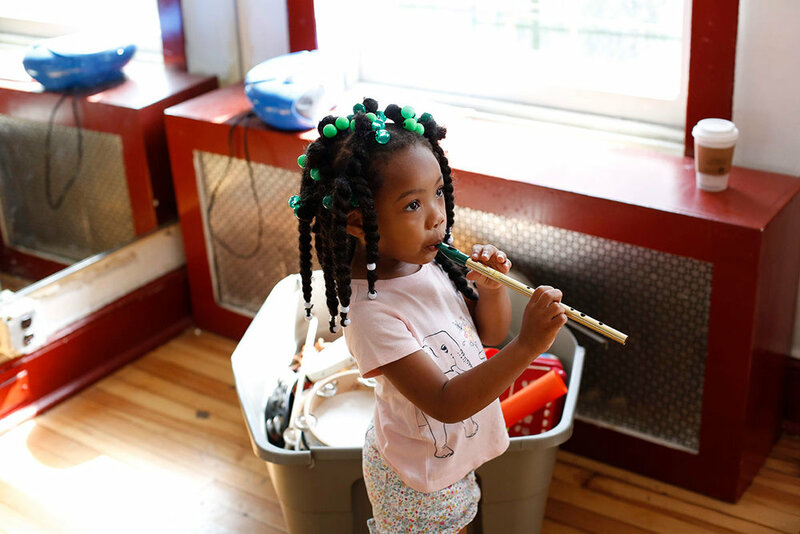 BMS’s Early Childhood Music curriculum emphasizes experiential learning – singing, moving, creating, seeing, hearing, touching – in an effort to encourage an empirical connection with music at an early age that will manifest in lifelong development. BMS believes their curricular mission is best accomplished through concerted efforts between parents and professional music educators, as well as constant reflection upon our value for the creative process. Community and Cultural Resources: students can broaden their perspective by working with professional artists and having regular exposure to different musical mediums, creating a fertile ground for students’ music learning and creativity. Eva Leftenant, Department Chair, is a classically trained singer and songwriter from Long Island, NY. She graduated with a BA in studio composition from the music conservatory at SUNY Purchase. She studied songwriting, recording, engineering, music business, piano and performance. After college she joined AmeriCorps where she taught at risk youth in various subjects including guitar. She also ran an after school program for students needing help with homework. After her term of service, she began working as a Music teacher in various pre schools on long Island. She then moved to Brooklyn and took a Music teaching job at the Fort Greene Clinton Hill Co-Op school. She then graduated to lead teacher but decided to join BMS to pursue her own Music Career and continue to teach Music to children. Eva is excited to join the BMS team and hopes to help expand the Early Childhood program. Andrew Brubaker is a music educator, pianist and singer out of Brooklyn. He received his Bachelor in Music from the Cincinnati Conservatory of Music in Vocal Performance, Master in Music from New York University in Vocal Performance, and Master of Music Education from Hunter College. He is a New York State Certified music teacher (PK-12) and currently teaches sixth grade music at Evergreen Middle School in Brooklyn. 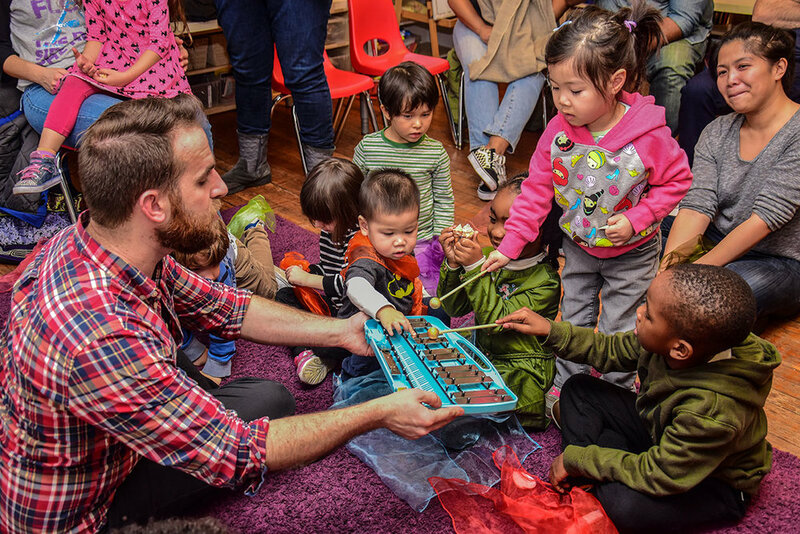 Andrew is also pursuing certifications in Kodaly (Level I completed 2017 NYU, Level II completed summer 2018 SEATTLE), Orff (Level I completed 2017-2018 NYCCAOSA), and Dalcroze (Level I 2018 LUCY MOSES SCHOOL). Holley Bartlett-La Sala holds N.Y.S. Teacher Certification in Music Pre-K-12, a Master's Degree in Music Performance from Hunter College CUNY, and a Master's Degree in Music Education as a Lincoln Center Scholar / Hunter College, CUNY. Holley teaches Flute, Recorder, Piano, Chorus, Early Elementary Music and Music Appreciation, and has many years of teaching experience in schools and programs throughout New York City, as well as in individualized instruction. Her most recent faculty positions are at Brooklyn Music School, Bronx House Performing Arts School and Brooklyn Heights Montessori School.